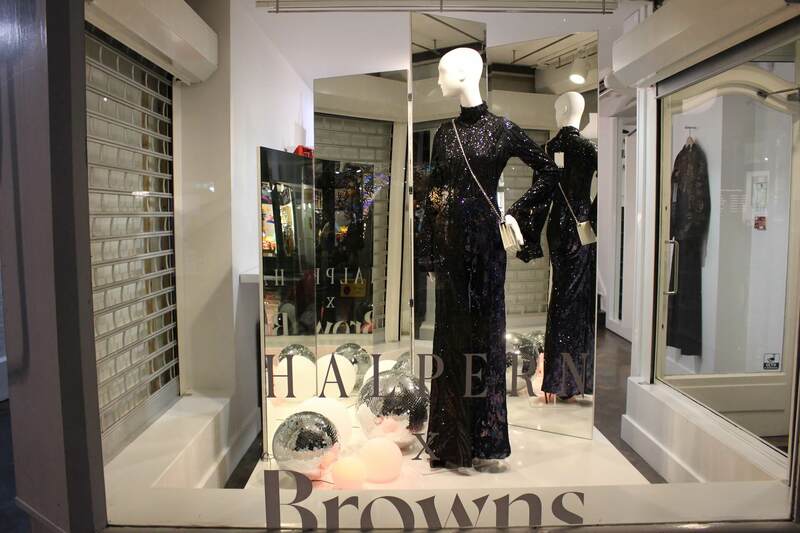 To celebrate the collaboration between London luxury boutique Browns Fashion and New York fashion designer Michael Halpern, whose London-based Halpern label is known for being a ‘cavalcade of sequins and colour’, at the AW18 London Fashion Week, Hello Flamingo were brought in to manufacture a series of incredible window displays for the Browns Fashion boutique on South Molton Street, London. 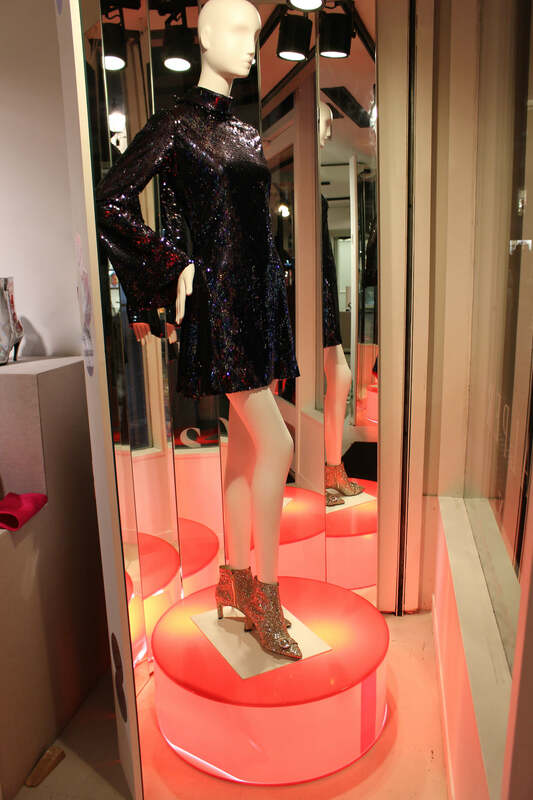 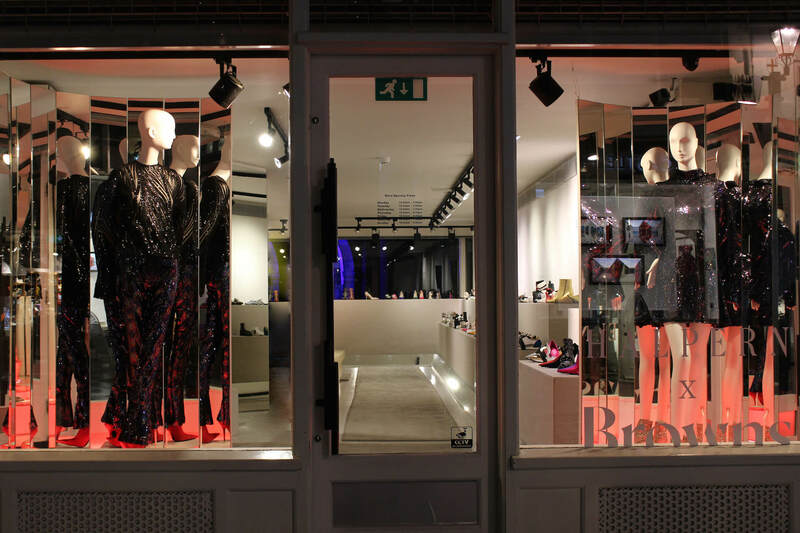 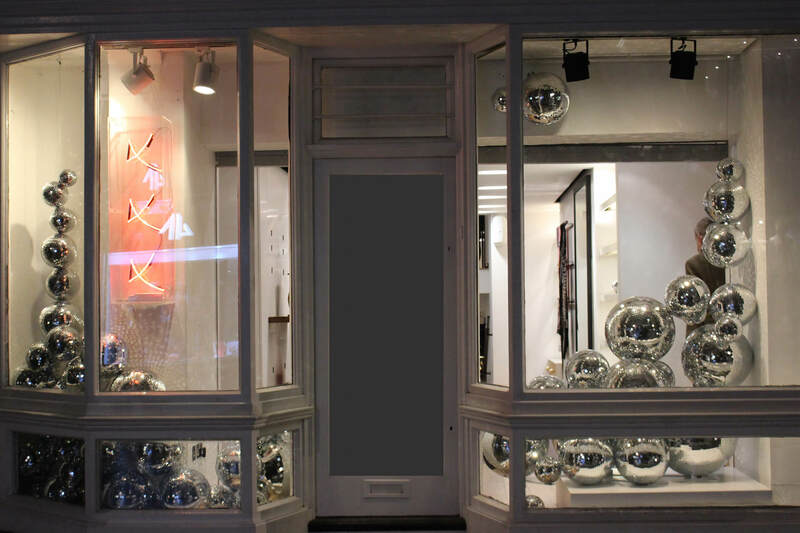 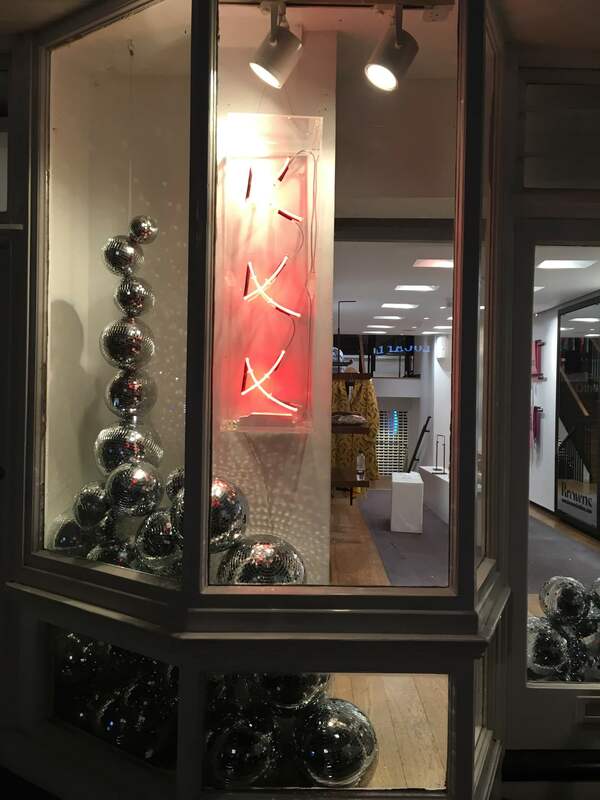 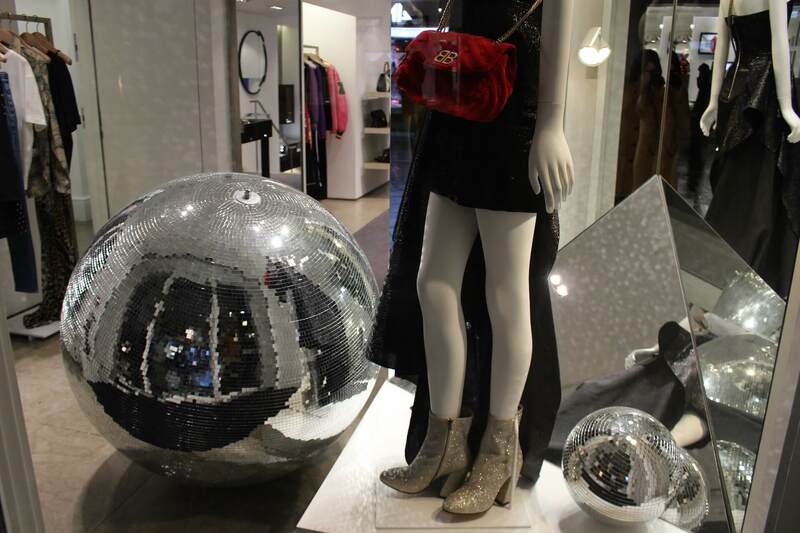 The five windows, designed by Browns Fashion, were filled with faceted glass panels and shapes, piles of mirror balls in various sizes, a giant 1m diameter ball, red illuminated balls and illuminated red lightbox stands for mannequins. 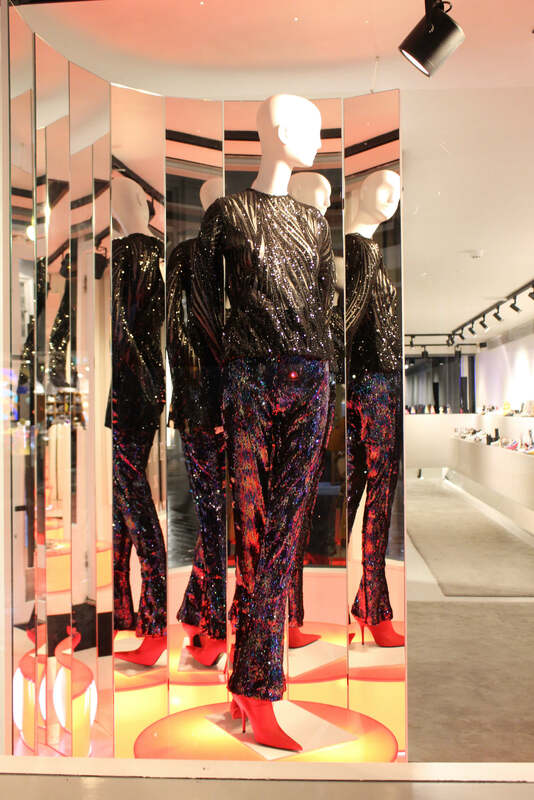 The multi-faceted mirror back wall window had a red neon sign reading ‘AFTER MIDNIGHT’, which reflected in the mirror to give an infinite effect. 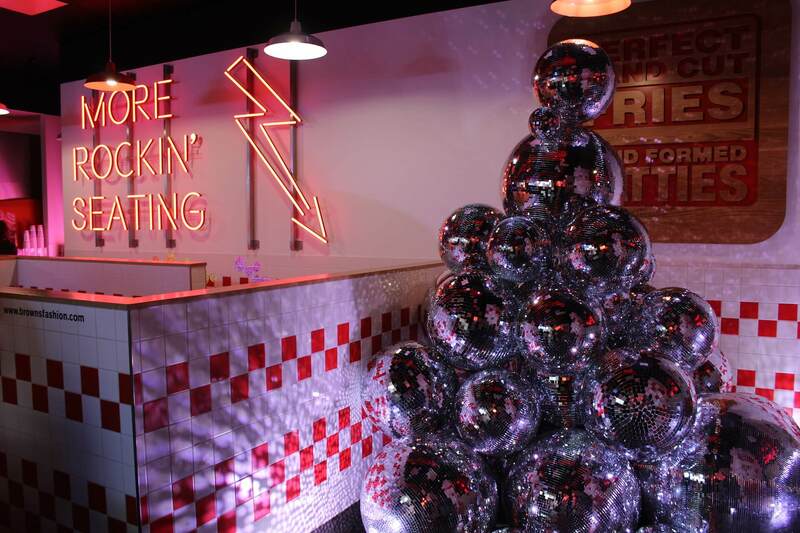 Following the much-anticipated Halpern show, Browns Fashion threw a Halpern x Browns aftershow party at the Five Guys restaurant on London’s Tottenham Court Road. 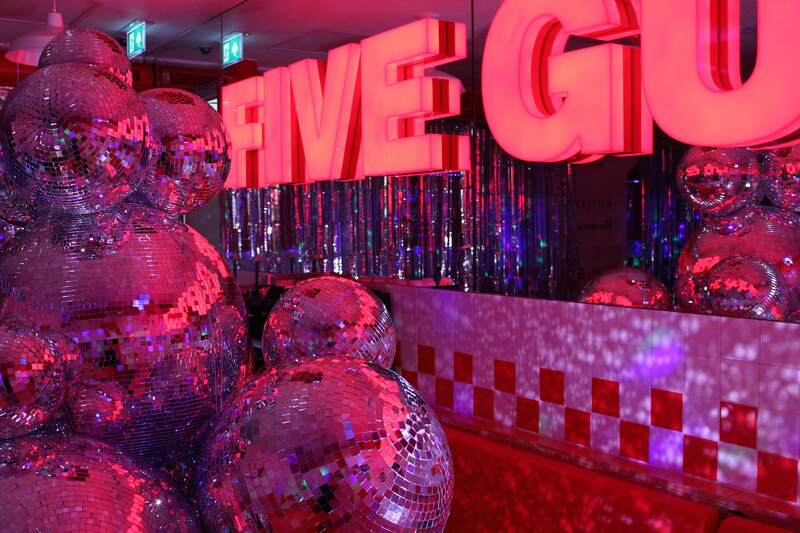 Hello Flamingo built props for the event, to give the venue a late night, rock and roll feel. 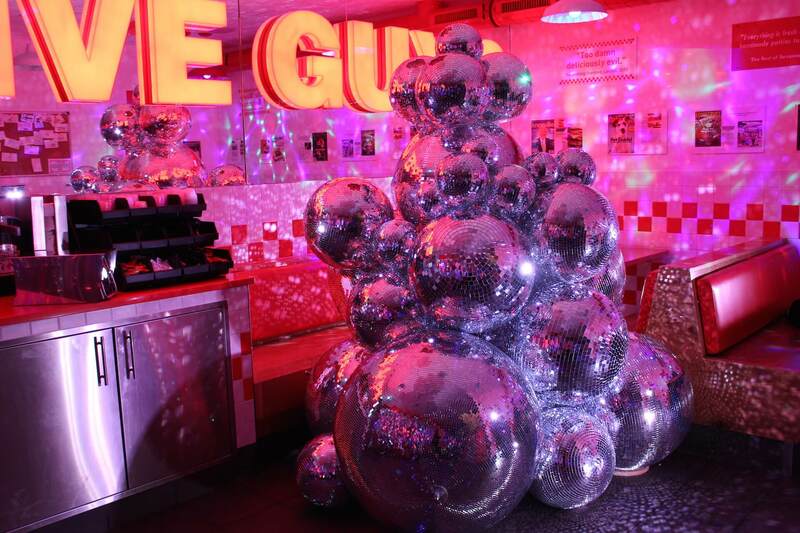 A giant pile of mirror balls was installed in the main restaurant with lighting to create an infinite party sparkle. 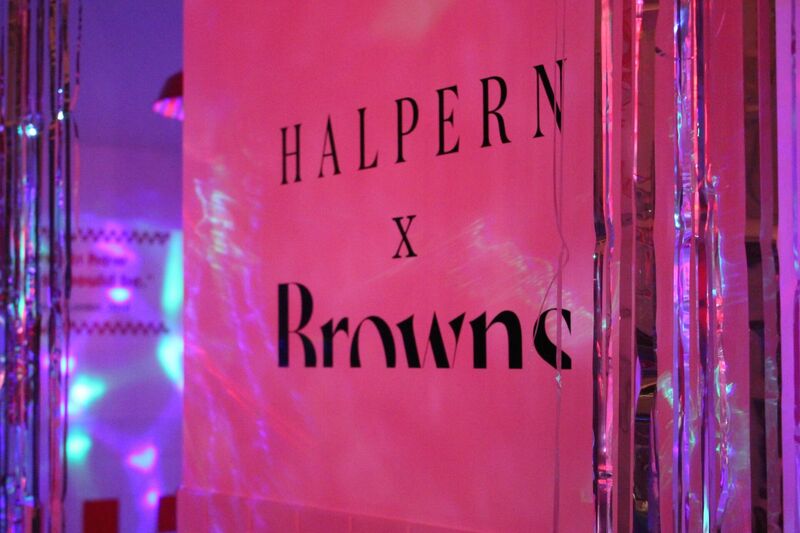 The walls were lined in silver foil curtains and bespoke made Halpern x Browns holographic stickers adorned the bespoke built DJ booth. 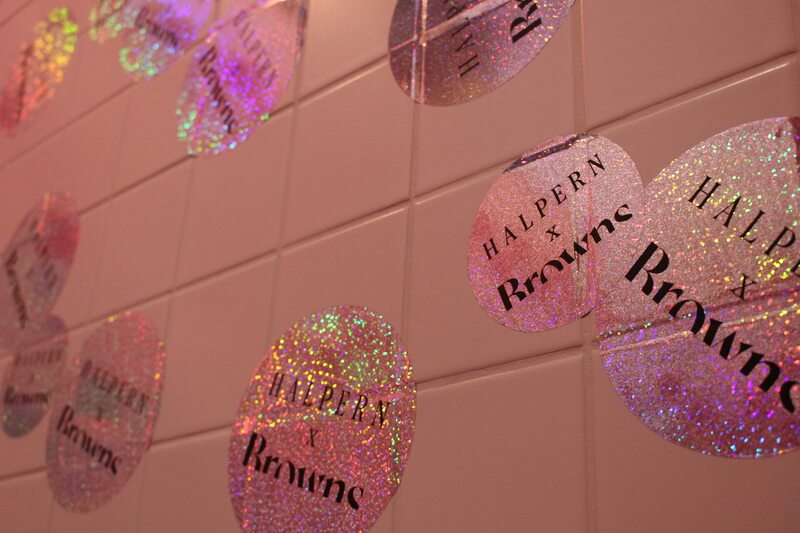 Art pop collective HMLTD, performed live at the event.